Discover SOS Pureté Cleansing Brush, a product that is as gentle as efficient ! This brush glides on your face and cleanses deeply without irritating the skin. 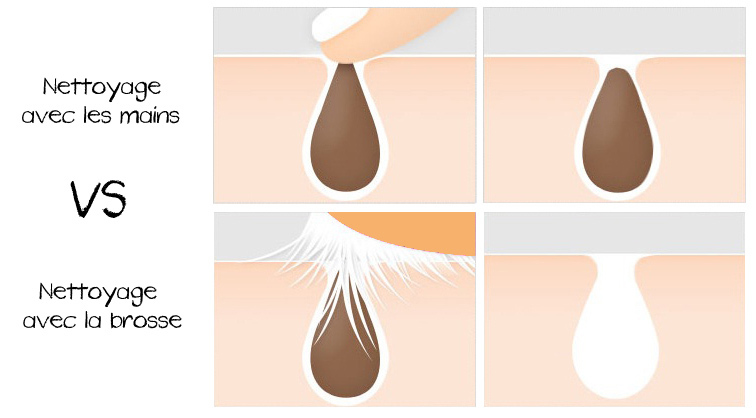 Its synthetic fibers scrub pores, eliminate impurities, sebum and black heads. Used with your usual cleanser, it maximizes the efficacy to deliver a good purifying cleansing. At first use of SOS Pureté Cleansing Brush, your skin is soft, purified and glowy ! And for those hard to reach places like the nose sides, you also have the mini-brush for small zones ! SOS Pureté Cleansing Brush in action ! How to use SOS Pureté Face Brush ? For normal to oily skin : use 3 times per week, preferably at night. For combination, sensitive, dry and mature skin : use once to twice max per week, depending on how your skin feels. - Wet your face and the brush. - Load the brush with your usual face cleanser. - Apply on the face and neck using small circular motions, focusing on the T zone (forehead, nose and chin). - Rinse your face and the brush with tepid water. - Press the fibers of the brush to remove excess water, then hang it and let it dry in a ventilated place. 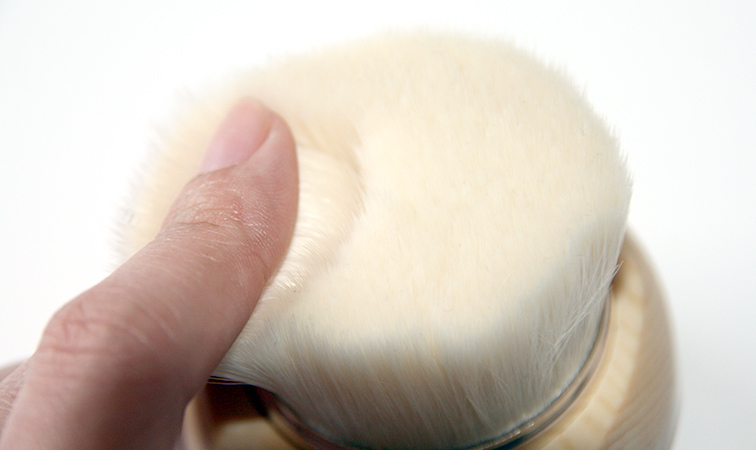 An ultra-soft brush for all skin types even sensitive ! SOS Pureté Face Brush provides you gentle cleansing without irritating your skin with its 310 000 bristles so soft and ultra-thin of 0,045 mm ! Thanks to the high density of the fibers, the pressure on you skin is minimized, avoiding any risk of irritation during your face cleaning. 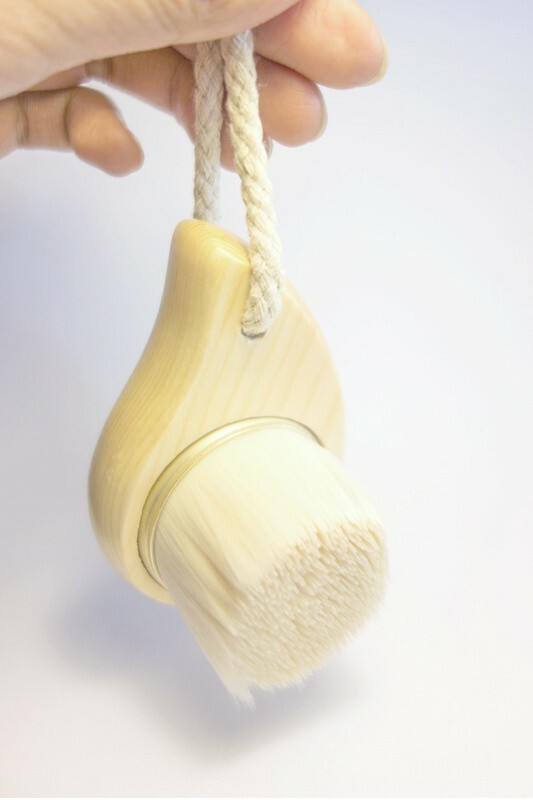 The bristles are synthetic, the wand is made of varnished Pine wood and it's all antibacterial treated. SOS Pureté Face Brush provides efficient deep cleansing ! Thanks to their amazing sharpness, the fibers of S.O.S Pureté Face Brush can reach zones that are hard to get with the fingers. Thus in an optimal way, they eliminate impurities and black heads, leaving the pores all clean. Your complexion looks instantly cleaner !